Tony Blair, who is leaving 10 Downing St. today after 10 years as Britain's prime minister, is expected to take on a new role as a special Mideast peace envoy. Members of the international Quartet - the U.S., European Union, United Nations and Russia - will announce the appointment simultaneously today, as long as some last-minute objections on Moscow's part can be resolved, officials said. Quartet officials met in Jerusalem yesterday to discuss the post, said Marc Otte, the EU delegate to the Mideast peace process. He said he did not know what Russia's reservations were, but hoped they could be resolved. "Prime Minister Blair ... has shown an interest and a readiness to be useful," Otte told the Daily News. "He offered to be of help in a particular juncture of the peace process." In London, Blair's answer to reporters' questions suggested he was at least considering the job. "I think that anybody who cares about greater peace and stability in the world knows that a lasting and enduring resolution of the Israeli-Palestinian issue is essential," said Blair, who hands over power today to Gordon Brown. Blair is expected to concentrate on political and economic reform to bolster the government of Palestinian President Mahmoud Abbas.Israeli leaders welcomed the news of Blair's expected appointment. A statement from Prime Minister Ehud Olmert's office called him "a true friend." An official from Abbas' Fatah Party, which now rules only the West Bank, said, "We need all the help we can get." Jerusalem -- While Israel, along with the United States and the European Union, moved Monday to lift sanctions against the Palestinian Authority -- partly in the hopes of reopening peace negotiations with Palestinian President Mahmoud Abbas -- Israeli leaders now have to grapple with the practical implications of the Hamas conquest of the Gaza Strip. Most immediately, Israel faces a potential humanitarian crisis confronting the territories' 1.4 million inhabitants. This was apparent Monday at the Erez crossing, the main crossing between Gaza and Israel, where at least 150 men, women and children have been stranded for two days without food and water in blazing heat. "We have no milk, water or food. My child's milk is running out. We have no money. We are under siege," said one 22-year-old woman who had been waiting with her 3-month-old baby since Saturday for permission to cross Israel and reach her family in the West Bank. "We can't return to Gaza. My husband is threatened, that is why we are trying to run," said the woman, who would not give her name. Stranded residents gathered in the concrete tunnel that links the Israeli and Palestinian sides of the border crossing until Monday evening, when Palestinian gunmen from the radical Popular Resistance Committees attacked them and the Israeli positions beyond with machine guns and hand grenades. At least two people were reportedly killed, including a senior Fatah security officer. Israeli Justice Minister Daniel Friedman said the residents should be allowed through to the West Bank. "Israel should ease their passage, as long as they are not Hamas people or endanger Israeli security," he said. But Guy Bechor, head of Middle Eastern studies at the Interdisciplinary Center in Herzliya, disagreed. "As soon as we let one of them through, millions will want to follow," he said. And the trouble at the border is just one of many problems. Thousands of Gazans used to work inside Israel, but since the second Palestinian uprising erupted in September 2000, the border has been closed to all but a few. Since then, unemployment inside the Gaza Strip has reached as high as 50 percent. In addition, Israeli reprisals for Palestinian terror attacks have destroyed roads, power lines and factories suspected of producing bombs and rockets. Israeli security measures against arms smuggling include the closure of the local airport and a frequent ban on fishing. Under the economic clauses of the 1994 Oslo Peace Accords, all goods imported to Gaza must first pass through Israel, which also supplies the coastal strip of territory with fresh water, electricity, fresh fruit and vegetables, medical supplies and gasoline. The immediate consequence of last week's Hamas coup was the cessation of these essential supplies. Thousands of tons of fresh fruit and vegetables were destroyed, causing shortages inside the Strip. Dor Alon, the private gasoline company that supplies fuel for vehicles and operates Gaza's only power plant generating electricity, halted supplies Sunday when officials found they were unable to contact their Palestinian colleagues on the other side. The flow resumed Monday. But while there were calls for Israel to move food and medical supplies into Gaza, Benjamin Ben-Eliezer, the minister of infrastructure, said Israel should restrict the movement to just one crossing, via the town of Rafah, on the Egyptian border. "I am stopping everything until I understand what is going on there," said Ben-Eliezer. But Egypt may not be willing to pick up the slack, following the failure of a power-sharing agreement it had tried to broker between Hamas and Fatah. "Israeli illusions aside, neither Egypt nor Jordan is about to take over responsibility for, respectively, Gaza and the West Bank, thereby letting Israel off the hook," wrote Yossi Alpher, co-editor of the respected bitterlemons.org, a joint Israeli-Palestinian Web site. Meanwhile, there were reports that Israel is contemplating a major military assault on Gaza should the newly empowered Hamas escalate attacks from the territory. While there appeared to be no immediate plans for such an invasion -- despite the resumption of rocket attacks on Israeli territory Monday night -- some observers think a military operation is probably unavoidable over the long term. "Eventually, I'm afraid, Israel will be forced to initiate a comprehensive operation against this Iranian military base which is being established on our southern border," said Tzachi Hanegbi, chairman of Israel's parliamentary committee for defense and foreign affairs. "We must dictate the circumstances of that operation and not be dragged into it by developing events." Bechor, however, called for Israel to "disengage" completely from Gaza. "There are processes in the Middle East which little Israel is unable to change," he said. "Alongside political Islam is a process sweeping the entire Middle East. Israel cannot stop it. The rise of Shia Islam and the fall of Sunni Islam. The collapse of Arab nationalism -- in this case of Palestinian nationalism. "These are unstoppable processes, and all Israel can do is defend herself. We are doomed if we try to become involved in these huge processes." JERUSALEM - Palestinian President Mahmoud Abbas swore in a new emergency government yesterday, a move that was met with derision by the Islamic militants who now rule the violence-ravaged Gaza Strip. reporters after the brief ceremony in Ramallah. "The mission will be difficult and hard, but not impossible," he said. But Hamas denounced the new government as "illegitimate and illegal." Authority to the brink of bankruptcy. week's fighting, the Al-Mizan Center for Human Rights reported. permission, but many civilians weren't so lucky. we are trying to run," she said. fire yesterday for the first time since last year's Lebanon war. Palestinian group. They caused damage but no casualties. Israel has a radical Islamic state sitting on its doorstep. spokesman for Hamas' militia, told Hamas radio. Ismail Haniyeh. But Hamas just laughed. Zuhri said. "In practical terms these decisions are worthless." of prostitutes to surrender or else they will be executed in public." ally of Abbas' top security aide. militiamen. "This is a real coup against the Palestinian Authority,"
said Nabil Amr, a top Abbas aide. hold off Hamas, ordered his elite presidential guard to strike back. But the order came too late. into an even more uncertain and volatile future. governments -- one in Gaza, the other in the West Bank. even if it was dissolved by the president." government to enforce it?" added Hamas legislator Salah Bardaweel. security plan for imposing law and order," he said. have twice as many gunmen as Hamas. Ali Jarbawi, a professor of political science at Bir Zeit University. because there is no political vision for people to look forward to." without triggering a major humanitarian crisis. completion of Israel's disengagement from Gaza. real disengagement has finally occurred this evening." Fatah-governed West Bank might be advantageous for Israel. process," he wrote in the Jerusalem Post. Jerusalem -- Four decades after Israel's staggering military victory in the Six Day War, the peoples of the Middle East are still reeling from its aftershocks. A new generation of leaders now governs the countries that fought in 1967, but not a single day has passed since that has not been dominated by its legacy, and the battle for peace remains unresolved 40 years later. The Israeli conquest and subsequent occupation of the West Bank and Gaza Strip with their large Arab populations brought the young state of Israel state face to face with the paradox that had haunted the Zionist movement since its inception at the end of the 19th century: How could the desire to establish a Jewish state in the ancestral Jewish homeland mapped out in the Bible be reconciled with the future of the Palestinian Arabs who had been living in that same land for centuries? Before June 5, 1967, Israel appeared to be a David facing a Goliath-like coalition of 22 Arab states sworn to its destruction. Six days later, Israel had emerged as a regional superpower, finally ending centuries of Jewish victimhood but forcing its leaders to confront the responsibilities of victory and military might. For the Palestinians, still reeling from the "Naqba" -- the "catastrophe" of Israel's founding in 1948, which turned 600,000 Palestinians into refugees -- the Israeli victory galvanized Palestinian nationalism. The war's outcome convinced Palestinians that Arab leaders' promises were worthless, and they resolved to take charge of the struggle against Israel. The Arab states whose forces had been shattered were shocked at their defeat, but it had a strangely calming effect on them. The previous decades had been riven with inter-Arab rivalry, coups and wars. The Egyptians had tried to assassinate King Hussein of Jordan 11 times. But after 1967, the vanquished governments stopped fighting each other and united in their opposition to Israel. "Forty years later, we are still grappling with the outcome of this war," says historian Michael Oren, author of "Six Days of War" and a senior fellow at the Adelson Institute for Strategic Studies at the Shalem Center think tank in Jerusalem. "For statesmen and military leaders throughout the Middle East, the Six Day War has never really ended. "All other developments since then, from the two Palestinian intifada uprisings, the Israeli settlements to the rise of Hamas, can all be traced back to these six very short, intense and fateful days," he says. On June 5, 1967, Mohammed Abdel Al-Latif was a 33-year-old stone mason. That morning, he remembers standing near his house on the edge of Anata, northeast of Jerusalem, when he heard the drone of an engine and saw an Israeli warplane float into the summer sky. A Jordanian tank was stationed on the next hill. Seconds later, a bomb dropped from the plane and ripped the tank open, sending out blast waves and shrapnel that blew Al-Latif off his feet. "We were one of only a few families left in the village," says Al-Latif. "The others had run off to hide in the caves in the desert or fled across the Jordan River." Soon after, Jordanian jeeps carrying posters of King Hussein appeared on the hill, driving toward the village. Al-Latif went out to greet them, but suddenly realized they were full of Israeli soldiers and bristling with guns. "I thought they were going to kill me, so I ran toward the jeep and jumped in," Al-Latif recalls. "I thought that if they shot me like that, they would probably kill one of their own as well." But they didn't. They sent him back with a message for villagers to stay in their houses for three days and nothing would happen. But something did happen -- the Israeli occupation. Since 1967, the population of Anata has grown from around 8,000 to more than 50,000, and the houses have expanded past Al-Latif's home into the surrounding countryside. But the hill where that Jordanian tank blew up is now covered with the whitewashed, red-roofed houses of Pisgat Zeev, an Israeli suburb of Jerusalem built, says Al-Latif, on land confiscated from Anata. To the north, the view is broken by the towering gray concrete slabs of the Israeli security barrier, built to keep out Palestinian suicide bombers. And to the east, on the road to Jericho, a sprawling Israeli military base sits on yet more of the hills where Al-Latif used to graze his father's cattle. In 1967, says Al-Latif, the village counted 36,000 dunams -- 9,000 acres -- of land. Today it has just 800 dunams -- 200 acres. "For me, the occupation means no stability, never knowing what will happen next," he says. "I am ashamed to invite friends from Jerusalem, because they will be stopped or humiliated at the checkpoints." "The Israelis don't want peace," says Al-Latif's younger brother, Abdel Rahman. "Look at the settlements, look at how they have taken all the land. They are like a frog blowing themselves up. Soon the frog will be as big as an elephant, and it will explode." By June 12, 1967, Israel had conquered the Gaza Strip and Sinai Peninsula from Egypt, the West Bank and East Jerusalem from Jordan, and the Golan Heights from Syria. But grabbing land was not Israel's initial intention, Oren says. "The Israeli plan was extremely simple," he says. "It was to neutralize the first of three defense lines the Egyptians constructed across the Sinai Desert, and the Israeli Air Force was going to neutralize the Egyptian Air Force, preferably on the ground. That was it. Take out the Egyptians, give them a bloody nose." David Rubinger, the celebrated Time photographer who snapped the iconic portrait of three young Israeli paratroopers at the Western Wall on the day Israel conquered the Old City of Jerusalem, likened the mood in Israel before June 5 to preparing for the gallows. "In the weeks before the war, there was a sense of doom. The national stadium was prepared for 40,000 graves -- and even if we thought we might win, it would be a costly victory," says Rubinger. "We went from being doomed to having an empire. It was like a condemned man with the noose around his neck suddenly being told that not only was he going to live, he was going to be the king. The nation went a little nuts." Days after the end of the war, future President Chaim Herzog, then Israel's first military governor of the West Bank, met with a group of Palestinian notables at the East Jerusalem home of Anwar Nuseibeh, a former Jordanian Cabinet minister and scion of a family that traced its roots in Jerusalem back 1400 years. Nuseibeh's younger brother Mohammed, then a 30-year-old engineer and now proprietor of the family's hotel, was among those present. "Herzog came and discussed the options with us, and it was clear that the Israelis had not decided what to do," Nuseibeh says. "They had not planned what would come after such a victory. But some of their intentions became clear when one day soon after the war, a convoy of buses appeared at the Damascus Gate, and it was announced that anyone wanting to leave the city and go to Jordan would be taken for free. But not many did." "Nobody expected Israel to occupy Jerusalem, let alone the whole of the West Bank, Sinai and the Golan Heights," says Hanna Siniora, former editor of the PLO-backed East Jerusalem newspaper Al Fajr and now co-CEO of the Israel/Palestine Center for Research and Information. He was a 29-year-old student assisting at his father's pharmacy near the Damascus Gate in the Old City on the morning the war began. "Everybody was thinking that maybe this will lead to a kind of opening the way for a political solution," he says. Stunned Arab leaders met in Khartoum, Sudan, in September 1967, and decided on three negatives that would haunt peace efforts for decades after: no peace with Israel, no recognition of Israel, no negotiations with Israel. "The Arabs were humiliated. First you have to regain your credibility, and then you have the possibility of coming to terms," says Siniora. 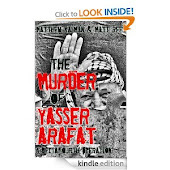 Across the Jordan River, a young radical named Yasser Arafat was busy in the two years after the war taking over the Palestine Liberation Organization with his armed Fatah movement, transforming it from a diplomatic lobby to a military force that launched a bloody series of attacks on Israeli civilian targets, airliners and Olympic athletes, as well as attempting a coup in Jordan. An Israeli religious nationalist movement sprang up, determined to hang on to the biblical territories. Gush Emunim (the Bloc of the Faithful) began creating settlements on sites that combined historical or religious significance with military strategy. Caravan homes sprang up on commanding hilltops near the sites of Abraham's tomb in Hebron and Jacob's dream in Bethel. In 1972 there were 1,500 Israeli settlers in the West Bank and Gaza. By 1983 there were 23,700. Today there are a quarter-million. But the settlement enterprise convinced most Palestinians the Israelis were not serious about peace. If there was to be an agreement, Israel would have to exchange the land conquered in 1967 in return for recognition by the Arabs. This formula of land for peace was written into U.N. Resolution 242 in November 1967, and remains the central motif of Israeli-Arab peacemaking. 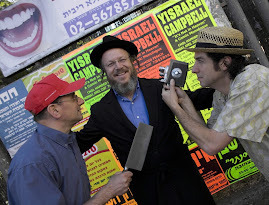 Yossi Klein Halevi, Oren's colleague at the Adelson Institute for Strategic Studies, says the continuation of the occupation not only has denied the Palestinians their independence, but clearly has damaged Israeli society. "Generally speaking, the impact has been disastrous, both in terms of demographics and the moral erosion of parts of Israeli society," he says. "The occupation has had an almost unequivocal negative effect on Israeli society." The Palestinians have always felt subservient. They see the occupation, with its ID checks and military patrols, as a daily humiliation in which fragile freedoms are withdrawn the instant the Israelis feel their security is threatened. Israel's policies have produced some disastrous errors, among them the decision to nurture a religious Islamic group called Hamas in the mid-1980s as a counterweight to Fatah and the PLO. In 1993, when Israel and the PLO ended a seven-year uprising with the breakthrough Oslo Accords, it was hoped they were finally on the road to creating two neighborly states. Arafat agreed to suppress Hamas in return for control of the territory. But Israel was unwilling to remove the settlers or give up its larger settlements, and the Palestinians refused to forgo the right of the refugees from the pre-1948 borders -- now some 4 million -- to return to their original homes, a move that would up-end Israel's Jewish majority. When talks broke down at Camp David in the summer of 2000, the process collapsed. A bloody new intifada erupted, one that included the grim new practice of suicide bombings. Israeli military leaders lashed out, in the mistaken belief they could crush the Palestinians by force as they had crushed the Egyptians, Syrians and Jordanians in 1967. If the occupation had debased Israelis, the Palestinians, too, began to realize that their methods of resistance were undermining the fabric of their own society. "The resistance began as something clean and upright, but then it became corrupted by money, it became the richest resistance movement in the history of mankind, and its leaders began buying cars and villas and sending their children to expensive schools," says Munther Dajani, dean of the Faculty of Arts at Al Quds University and former chairman of its political science department. "The Palestinians never had this culture of death. We are not Shiites. 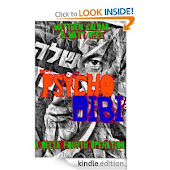 The Palestinian people have always been moderate -- but if you destroy my house, kill my children and arrest my brother, that is bound to breed desperate people who take desperate actions," he says. With Hamas in power and the cement blocks of Israel's security barrier snaking their way through the West Bank, the two sides seem as far as apart as ever. Their inability to overcome the past and find a solution is rooted in their diametrically opposed understanding of the Six Day War. Israelis remain traumatized by the period before the war, when annihilation seemed likely. Many are unwilling to take risks for peace because they fear one mistake could destroy the state of Israel. Palestinians remain spellbound by the war and its aftermath. They regard Israel as a superpower that should make the first move toward peace . Yet Dajani is hopeful the time has finally arrived. "The second intifada was successful in that it taught the Israelis their big dream has ended -- that they cannot swallow the Palestinians whole without getting indigestion," he says. "And the Palestinians seem finally to understand that Israel is here to stay. Perhaps both sides have finally paid the price necessary to make peace."